​Dak Prescott doesn't always get the credit that he truly deserves leading the Dallas Cowboys offense. While he doesn't have that big arm pundits seem to declare as a requirement for starting QBs, Prescott has put up numbers in his first three seasons that are on par with ​Russell Wilson's first three years. One could even say that Dak has posted better numbers than the four-time All-Pro quarterback. Say what you will, but Dak doesn't deserve the criticism he'd endured in recent years. Both quarterbacks put together extremely efficient rookie campaigns. Dak passed for a career-high in touchdowns with 23 on the season, while Wilson tossed 26 in his first year. The criticisms on Dak began in his second year when he led his Cowboys to a disappointing 9-7 season, throwing 13 picks and logging career-lows in yards and completion percentage. 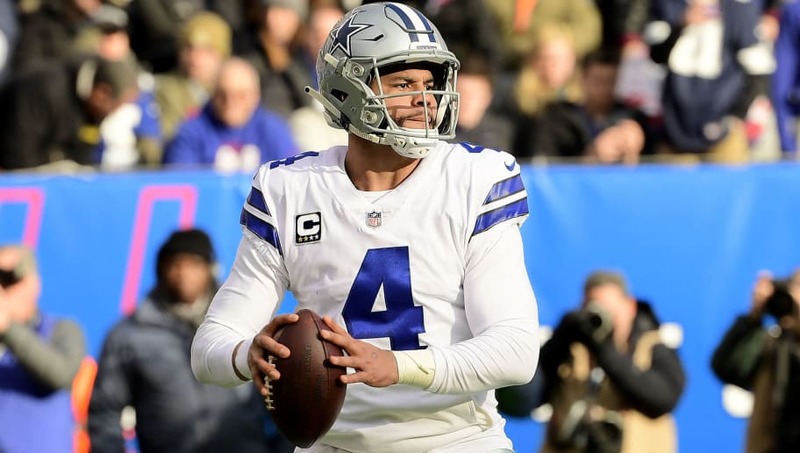 Considering what Prescott was able to do in 2018, the Cowboys should be more than excited about their quarterback as he morphs into one of the most efficient mobile quarterbacks in the league. ​​It's not farfetched to say that Prescott is well on his way to an extremely successful NFL career. ​Dak led his Cowboys to another playoff berth and will take on the Seahawks this weekend with a chance to truly prove he's here to play with the best of them.